Aluminiun tubes for pharmaceutical use require a particular process relating to production and quality control, that is even stricter and more rigorous compared to the tubes for other applications. Tubettificio Favia is a leading company in the supply of aluminium tubes for pharmaceutical industry (more than 40% of the Italian pharmaceutical market). Its customers include some of the most important Italian and international pharmaceutical companies, which have found in Favia the ideal partner for the aluminium packaging of their products. Working on technological and organizational aspects, Favia company has developed a method which enables to manage the production of aluminium tubes so as to guarantee flexibility, quality and efficiency. 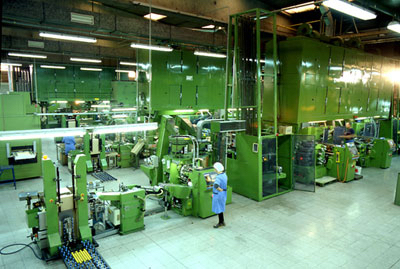 Favia has over 80 years of experience in the production of aluminium tubes for the pharmaceutical industry. Over the years, the company managed to interpret the market changes and promptly adapt to the needs of an ever-changing world. A working method focused on the highest standards of quality ensures all the aspects specifically required for the production of primary pharmaceutical packaging. 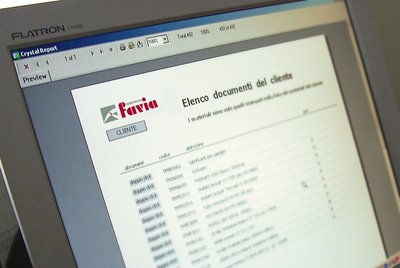 The Quality System of Tubettificio Favia has received different acknowledgements attesting its reliability and efficiency. In-process controls and end-of-line checks ensure that specifications agreed with the customers are satisfied. The release of the batches is handled and traced by proper workflows. Production environments and procedural rules ensure full compliance with Good Manufacturing Practices. According to an internal protocol, periodic analyses are carried out on products and on the environment in order to keep the risk of contamination under control. Through a careful analysis of the risks, all the critical operations have been individuated and properly managed, from the cleaning at the beginning and at the end of the production line to the sampling under laminar flow cabinet. – provide the assistance required to stipulate correct contracts and specifications defining the positions of the contracting parties. Tubettificio Favia can give you support in producing the certifications required by the pharmaceutical industry, by means of an innovative procedure which enables to check the status and progress of orders in real-time with a simple mouse-click. Find out more on our Innovation page. ophthalmic, pediatric and veterinary use. Thanks to this innovation, application of the product contained inside the tube is safer and more comfortable, even on particularly sensitive areas or people. The aluminium tube with soft nozzle was awarded with the prestigious Packaging Oscar 2015, assigned by the Italian Institute of Packaging. In the picture: the award ceremony. 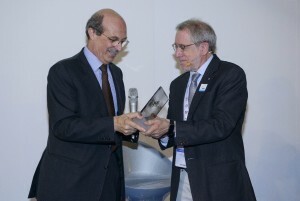 The award was received by Mr. Renato Favia, Managing Director of the Company.